Considering February is a short month, I feel like this month has really dragged for me. Not necessarily in a bad way as it's been a pretty good month, but it has seemed a little never ending at times! At the start of this month I decided to put my new Happiness Planner to some good use and start my 100 days of happiness. This made February feel like a fresh start for me and I was pretty motivated to achieve the things I set out to in this diary which I know lead me to being a much happier person. I have definitely felt much more focused on my goals but I don't think I anticipated just what a challenge this would be! I don't want to say to much at the moment as i'm only just over a quarter of my way through my journey and I am planning a full half way update at the 50 day mark. But lets just say there's been some ups and downs. I generally always feel as though February is quite a happy and positive month, especially as it hosts two days of the year which I really love - Pancake Day and Valentines Day! I find it so bizarre that I mostly only ever seem to eat pancakes in the month of February and then it's as though they have been completely forgotten about again until next year. I think this is typical of most Brits as we haven't quite adopted the American take on pancakes as a staple breakfast and brunch food. But I actually quite like this because it makes them feel like a real treat and all the more special on Pancake Day. This Pancake Day I shared my favourite quick and easy vegan pancakes recipe which went down a storm with everyone who tried them. Once all the pancake fun was out the way it was time to get organised for Valentines Day. This is a day of the year that can be a bit hit and miss for some people but, regardless of my relationship status, it's always been a time of year that I have embraced as a time to spread some love around. This year I have also been introduced to Galentines Day for the first time ever and my friends hosted a special Galentines get together which involved making vegan waffles and friendship bracelets. It was so much fun and this is definitely a tradition I am looking forward to repeating! My gal pals mean so much to me so I love that there's a dedicated day of the year to show them how much you care. 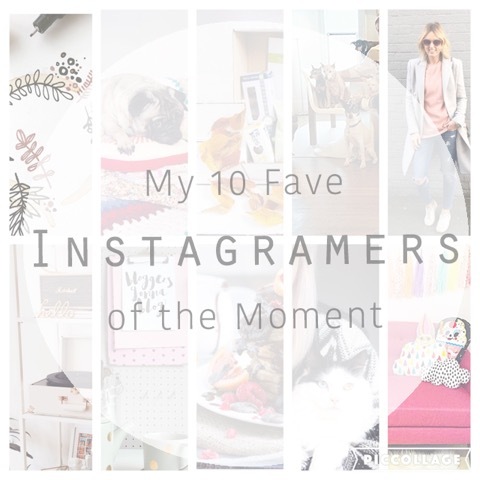 I also spread some love online with my '10 Fave Instagramers of the Moment' post. It's always lovely to receive some positive feedback from the online community so I decided to publicly declare my love for some of my favourite Instagram accounts. I hope you enjoy following them as much as I do! On the blog I wrote a special 12 Ideas for Valentines Day post which really inspired me to get my craft on and make my husband some handmade love vouchers which he absolutely loved! We never really go all out on Valentines Day but it definitely felt like we both made a bit more effort this year which was so nice. He surprised me with some beautiful red roses and an adorable necklace which I really wasn't expecting. We also went out for the day to Camden and visited the new Mildred's restaurant and picked up some yummy vegan treats from Cookies & Scream. Talking of eating out i've had some time this month to visit some great vegan cafes, some old favourites and some totally brand new. I had a lovely brunch catch up with some friends at The Den at 23 in Colchester and treated myself to one of their amazing cupcakes. I also paid a visit to one of the towns newest vegan cafes The Nourish Co. which is a great little place. One of my friends happened to visit the new vegan night at Little Hallingbury Mill and kindly agreed to guest blog post her experience of the night. This was also the first ever guest blog post to feature on The V Nice Life and it's something I am going to encourage among my vegan friends so I can make sure that I bring you all the best from the vegan and cruelty free world. I've invested some time and money this month in updating my makeup and skincare collection which has been such a long time coming. I've never really been one to watch many YouTube makeup tutorials but this is something that i've really got into this month and it's really got me thinking about my own makeup and the techniques that I use. It's been great to experiment with some new products and for the first time in quite a while I feel excited about doing my makeup again. I blogged some of my latest cruelty free makeup must haves and my experience of using the new B. Refreshed Essence Lotion. I have a few other products on my wish list which i'm hoping to try and report more on next month. I've actually done quite a lot of shopping this month which i'm surprised about as most of it was really unplanned! (Well that's what i'm telling my husband anyway). I've been quite impulsive in that i've seen things online which i've then felt like I can't live without. Quite dramatic but nonetheless a reality! One of my favourite items from this month has been my new dungarees. I've seen so many other people wearing them and I finally bit the bullet and ordered some from GAP. As soon as I put them on I loved them and I can't believe I haven't worn dungarees for what must be over 20 years. They're so comfortable and easy to wear as well as being pretty on trend for this season. I'm definitely going to buy some more in other colours next month. My other favourite from this month is my new 'Avocado Toast' tee which i'm currently living in! It's so soft and comfy and perfect for any avo addict like me. Another casual top I picked up was the 'CARBS' long sleeve from H&M which was a total bargain at only £5.99. It's great for every day wear and sums up perfectly what I love to eat the most! I also couldn't resist ordering an avocado & toast cute illustrated print from Lemon Freckles which I can't wait to frame and put on the wall. Another great find this month was the 'Eat Green & Think Green' range from H&M home which I randomly come across whilst searching for homeware. These are perfect kitchen accessories for any vegan and veggie! As part of my 100 days of happiness I have decided to focus more energy into doing things that help me to relax and feel good. One of these things is taking a bath, or more specifically a Lush bath. I'm still using up some of my Christmas goodies and i've also bought a few new items to keep me going. This month I tried some of Lush's bath oils for the first time which I've found that I really love. They're a little less exciting than some of the bath bombs but sometimes less is more and I've found them to be somewhat more relaxing than the bombs. My favourites this month have been Razzle Dazzle and the Mmmelting Marshmallow Moment. I also got to try the Intergalactic bath bomb for the first time which was quite magical and really got my cats interested with its popping candy. For the first time in a long time I actually finished a book I started reading which is a pretty proud moment for me as i've found it so hard to switch off and read recently. The book which got me hooked was 'Reasons To Stay Alive' by Matt Haig. It was such an easy and interesting read. This book documents Matt's own experience of a breakdown, depression and anxiety. It's really relatable if you have suffered from any of these illnesses as well as being quite heartwarming and inspirational. I also think that this book is a must read for anyone who is related to someone who suffers from these conditions as it gives you a real insight into the mind of a depressive, what they think and how they might be feeling. I thoroughly recommend this book to everyone! Productivity wise this has been a really great month. I finally hit 1000 followers on Instagram which feels like a milestone for me and my blog. It can be so hard to gain followers on Instagram and although i'm not really someone to focus on follower numbers or brag about them, I couldn't help but let out a small squeal! I've never really stuck to a solid routine with blogging or days on which I publish posts as it can be so dependent on so many different factors including creativity and this really isn't something you can force. However, recently I have managed to post a minimum of 3 new blog posts a week which I feel is representative of how productive and creative i've been feeling recently. I'm not sure how long I will maintain this pace for but at the moment i'm embracing it as much as possible. I also decided to do a little streamlining and I made all my social media handles the same - @thevnicelife. This was a little nerve wrecking but also something which has been bothering me for a while so i'm glad i've made the change and I think everyone's got used to it now. Interestingly my most viewed blog post this month was my review of Tesco's new frozen avocado. In other news I have also started two courses this month - a photography course and my group work CBT sessions. Coincidentally they are both once a week and they both last for five weeks so the next few weeks are going to be pretty structured and busy. I have decided to document my journey through the CBT in some personal diary style blog posts, the first of which went live yesterday. It feels a little scary documenting such a personal side of my life but it's something that I feel is really important to share and be open about. It will also be great for me to look back on, especially since I have been struggling with my memory recently. You may remember back in my 2016 Hopes & Goals post that I said I wanted to sign myself up for a course this year and after purchasing my new DSLR camera I thought that a photography course would be really beneficial. I selected an evening course at a local college and after attending my first session last week I know I have made the right choice. I get to take along my own camera which is really useful as i'll be learning how to use all of the manual mode functions and hopefully how to take better photographs. If this course goes well i'll definitely be signing up for the intermediate level one which takes place this Summer. Despite it initially feeling a bit daunting going back into an education environment, it feels so good to be bettering myself and developing my skills in this area. It's a hobby which I love but it also obviously really helps my blog to be able to take better photographs. Exciting times ahead! Despite it feeling much colder this month there's also been some signs that Spring is on its way! I really love seeing the bulbs pop up and add some colour to the landscape around us. I really look forward to Spring and everything that comes with it like Easter. It's one of my favourite times of the year and, as disappointed as I am to have not seen any snow this Winter, I am now looking forward to the slightly warmer months and seeing more sunshine. How has this month been for you? I hope that's its been a good one and that you have some happy moments to reflect on!